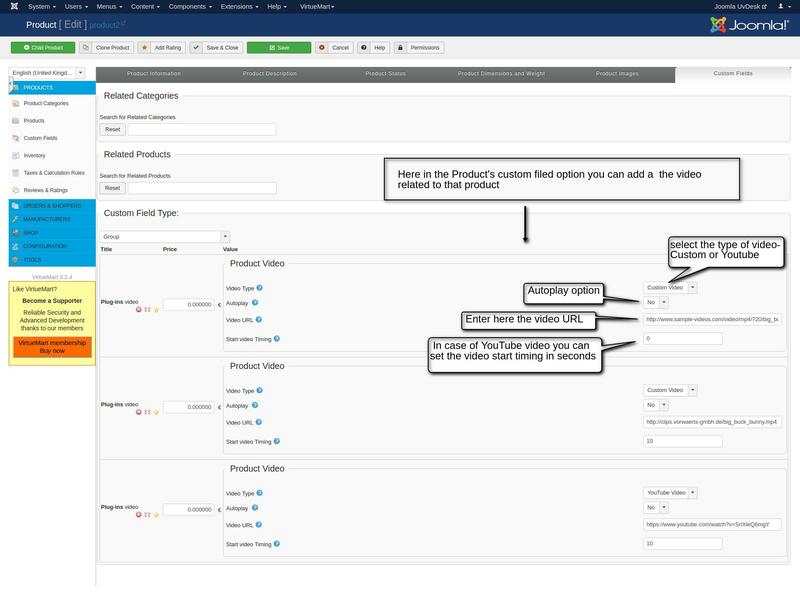 admin can set multiple videos in a single product. 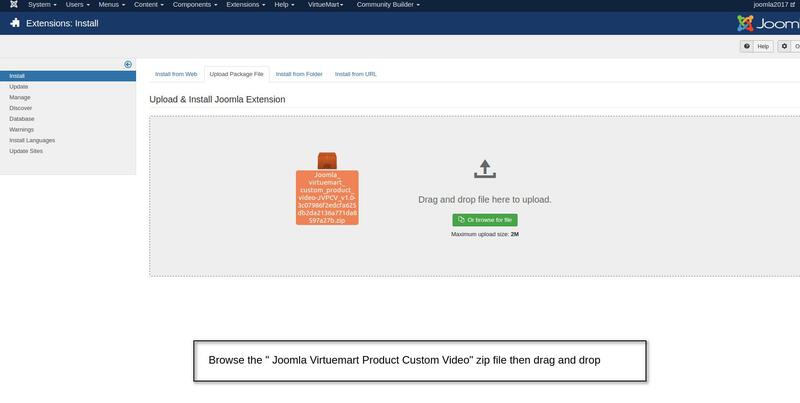 Browse the ‘Joomla Virtuemart Product Custom Video’ zip file and then drag and drop. 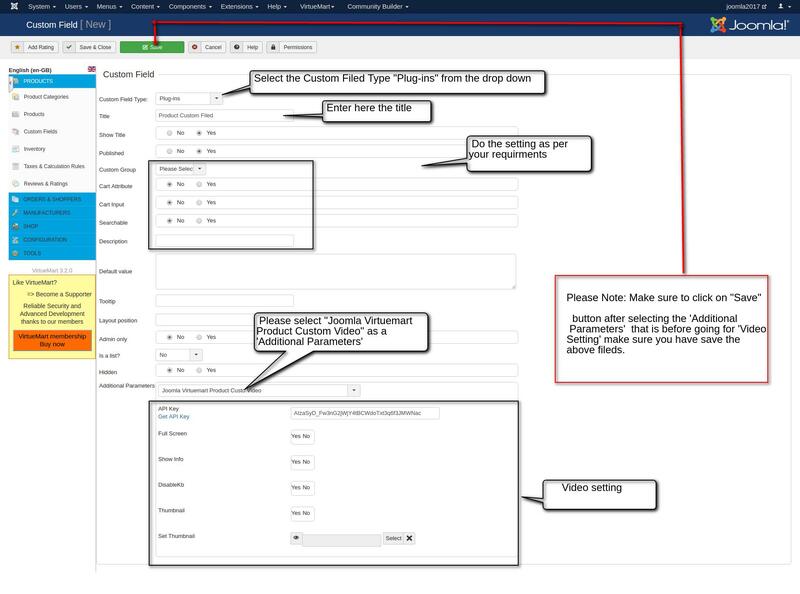 Here you have to create a new custom filed. 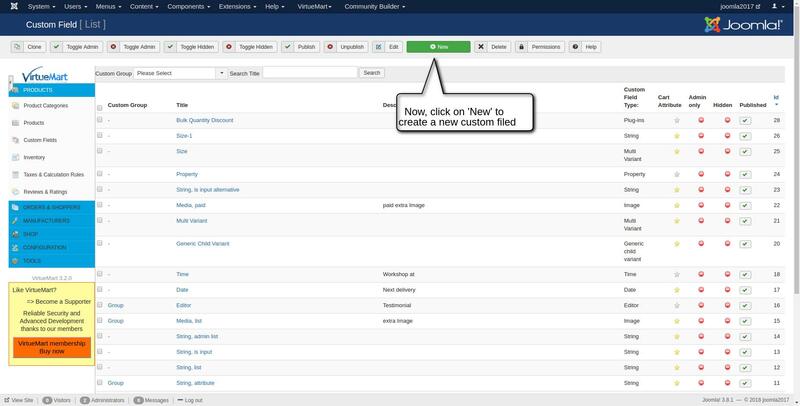 make sure to click on “Save” button before proceeding with “video setting”. 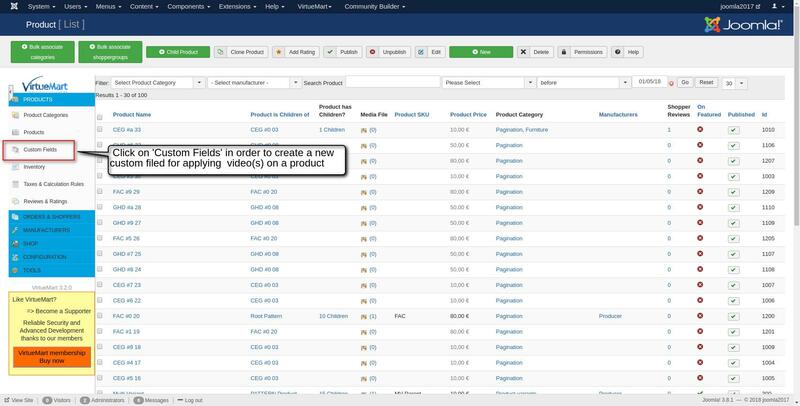 Now, in stage you can see how you can add video(s) on a product through custom field option. 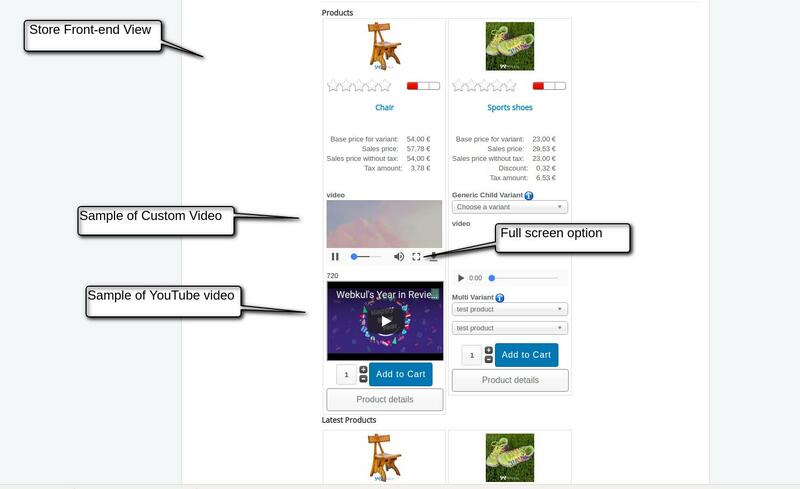 In the front-end view, you can see the in the store front, both custom and YouTube video has been added, also in the product detail page the you can see the same video.